At ten-years-old, your baby boy isn’t a baby anymore. He’ll have more explicit interests and hobbies. If you want a fool-proof way of making him happy, give him something related to it. It doesn’t matter if it’s just a book or a décor, so as long as it’s something to do with his interests he’ll love it 100%! If your kid’s into LEGO, give him the latest LEGO set he absolutely “needs to have!” or anything related to the toy tycoon. If he’s into extreme sports, give him an new mountain bike or better yet, an action cam! Review: This one’s a classic that most boys will love! Guy Campbell’s quirky book has been around for quite some time and it’s a highly recommended book. It’s a really hilarious read that will guide your kid around any kind of situation. Shark attack? It’s all in there! Shopping with mom? 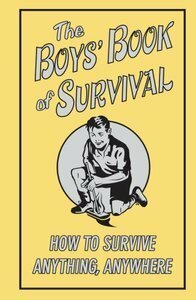 Learn how to survive it with this book! I love how funny and entertaining this book is, and I think your ten-year-old will too. Review: Ever since the first Star Wars movie came out back in the ‘70s, I’m pretty sure lots of little boys (and grown men) wanted their own droid. With today’s tech, your son can have one now! 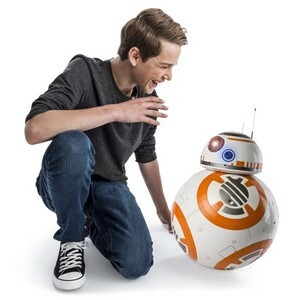 This BB-8 droid actually moves and is over 16 inches tall! It lights up and has realistic sound effects. Honestly, it’s like having your own honest-to-goodness BB-8 in the house. You can control how he moves through a remote control and even has a voice recognition feature. Does your son want it to follow him everywhere? Now it can with the ‘Follow Me’ mode. I love this! And so will die-hard fans of the Star Wars franchise. Review: The one drawback with having a LEGO-crazed child is that you need to provide him with loads of different sets. And they just keep creating more! But being a fan of LEGO doesn’t necessarily mean that you have to keep giving him LEGO sets. 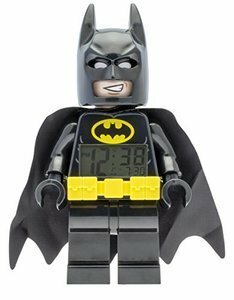 Why not combine his love for superheroes as well as the iconic toy bricks with this fantastic Batman minifigure alarm clock. It’s functional, fun, and awesome to look at. Plus, the digital LCD makes it easy for your ten-year-old to tell the time. Honestly, I’d buy it just for its décor purposes. Review: Does your kid like aliens, robots, and monsters? Well he’ll definitely drool over this board game! It’s fast-paced, ragingly awesome, super fun to play! 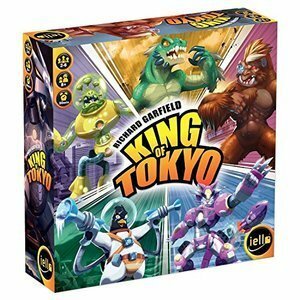 Your son can even invite his friends over for a good time since this board game can accommodate up to six players, and only needs 30 minutes of playing time. This newest update of the famous game features new artwork and revamped card abilities, making gameplay all the more modern and exciting. It’s super chaotic, and your kid will surely thrive in this atmosphere! Review: If you have a rambunctious ten-year-old boy who thrives in active play and extreme sports, you may want to get him his very first action cam. He can attach this awesome camera on bikes and skateboards so he can record any stunt he does. He can even take it with him on underwater adventures since it has awesome waterproof features. 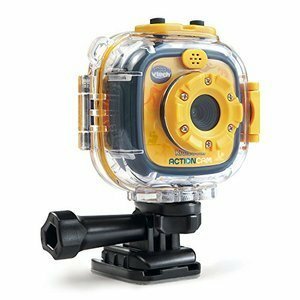 Not only can this action cam take videos but it can also take photos, stop-motion clips, as well as time-lapse sequences. Guaranteed, this action cam will be well-received! 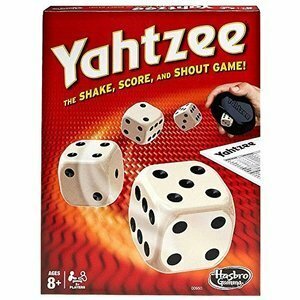 Review: Yahtzee is a classic game that a lot of people love playing. Why not introduce this super easy game to your kid so he can now play it with you and the whole family? The sleek, high-roller look of this whole set will make him feel super cool, guaranteed. It’s like playing in a casino! He can get all that jazz with super simple gameplay. All he needs to do is roll the dice and hope he gets high points. 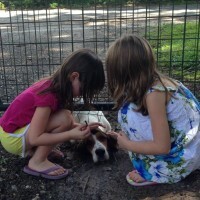 It’s a nice and fun way to teach him how to hustle and make risks. Review: Another gem for kids who love getting physical! It’s time to graduate from training wheels and go straight to the incredible feel of mountain bikes. The Cobra is an awesome starter mountain bike made with highly durable material. 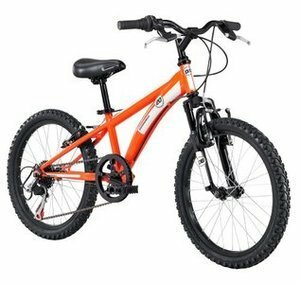 It has a heavy duty steel frame with 20” aluminum wheels to keep your boy excited racing down the tracks. Don’t worry though! He can make good use of both the front and rear brakes so he won’t go too fast. Now that he has the right gear, your son can now come with you on great outdoor adventures. Review: Here’s another gem that LEGO-crazed boys would love. Sure, it’s not really for playing but these silicone LEGO brick molds has a ton of uses. He can now make chocolate LEGO or use it as ice cubes so he can always have a little bit of LEGO in his everyday life. Your son can even use this mold for mini cupcakes. There’s tons of different uses for this, just for fun or for silly get-togethers! Review: While I don’t really approve of guns and gun toys, I think that ten-year-old boys are responsible enough to play with them and know how to safely use them. 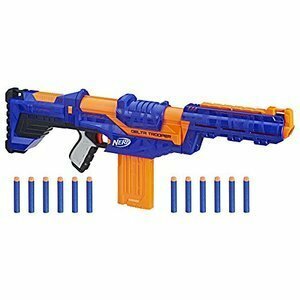 The N-Strike series from Nerf is awesome for playing with his other friends. He’ll last a lot longer without having to reload since it has a barrel extension. Plus, he can attack at long distances since this bad boy can fire from up to 90 feet! As long as your kid plays responsibly, getting him a toy gun is fine. 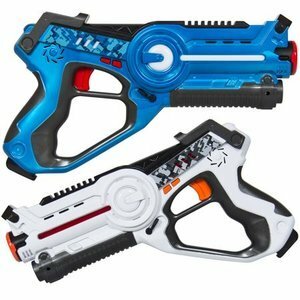 Review: Another gun-themed toy that your kid and his friends will definitely enjoy is this Laser Tag set. Now, they don’t need to go to Laser Tag places just to play! With four guns per set, don’t be surprised to see your kid and his friends creeping, running, and shooting around the house. They can even add more players to the game by combining more sets. All guns have a built-in life indicator to show you how many more lives you’ve got. I really think that this is a fantastic gift to get! 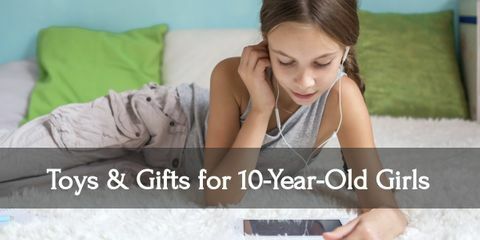 Ten-year-old boys are more independent now since they’re entering their pre-teen phase. Playing with his friends is important to your kid so getting stuff that he and his friends can do together would be very welcome. 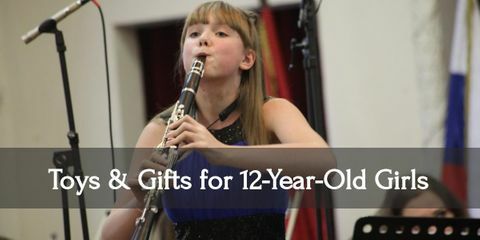 Aside from that, he would also love to get things that are closely related to his specific interests and hobbies. So make sure to observe what those are.